The Los Angeles County Board of Supervisors pushed back Tuesday against a proposal to include a citizenship question on the 2020 Census, saying it would lead to inaccurate counts and unfair allocation of federal funding. Supervisor Hilda Solis recommended sending a letter to Commerce Secretary Wilbur Ross and the county’s congressional delegation expressing opposition to such a question, which was proposed by the Department of Justice, said it “will deter anyone afraid of disclosing immigration status” from filling out the census form. “Communities that are uncounted will be underfunded and underrepresented,” Solis said. She estimated that the county is home to at least 1 million undocumented immigrants and said even citizens and those with green cards might be afraid to fill out the census form if they have family members who are undocumented. Supervisor Janice Hahn, who co-authored the motion, agreed. The census is used in setting the number of each state’s congressional representatives and to allocate millions of dollars in federal funding. About $5 billion of the county’s $31 billion 2017-18 budget comes from federal sources. “The census is a matter of just two little things: money and power,” said Rosalind Gold of the National Association of Latino Elected Officials Educational Fund. The Department of Justice said in its request to the Census Bureau that it needed the citizenship data to enforce voting rights. “The Department needs a reliable calculation of the citizen voting-age population in localities where voting rights violations are alleged or suspected” to protect against racial discrimination in voting, according to a Dec. 12 DOJ letter published by ProPublica. 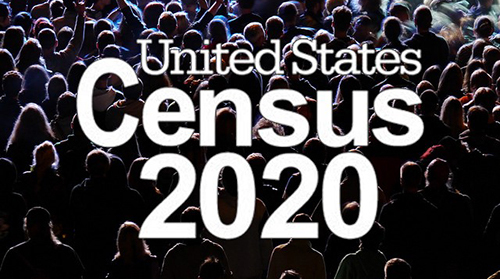 The census is the first that will be managed primarily online, which Solis said would create an additional barrier for low-income families and communities of color. Census Bureau field representatives are reporting unprecedented fear among test respondents, according to NALEO Educational Fund Director Arturo Vargas. “With vigorous research and testing already completed and only three months to go before the agency must submit its final questions to Congress, now is not the time for our nation to devote precious resources towards this misguided and unnecessary pursuit,” Vargas said. The board’s vote was unanimous.